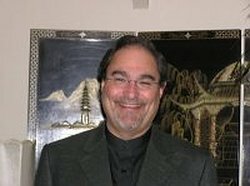 Gary W. Richman, Ph.D., L.C.S.W. We live in a world of quick fixes and the promise of easy solutions. We have come to believe that the most complex organism on the planet, mankind, can invoke change by simply reading a book, seeing a movie, or mindful intention. All of these vehicles can be useful, but only after the psychological wounds of the unconscious have been cleaned up. Substantive change is exactly that, deep and penetrating awareness that jolts one's core promoting serious and lasting change. Do you wonder why things keep happening to you or incidents reoccur though you were sure that the self-help book you read or that lecture you attended seemed to answer your concerns or eases your pain? It is because the core from which your wounds originate have not truly been healed. This can leave you with a feeling of doom and hopelessness that you could ever make your life different. Therefore you condemn yourself to what is and put down the more serious inner work like psychotherapy. The serious inner wounding I am talking about comes from the system you grew up in. Now before you blow this off as ridiculous psychobabble, hear me out. Children are victims of the system they grow up in. If that system is healthy so too are the children, but since all of us are raised by flawed humans doing the best they can, it stands to reason that the system they created had aspects of dysfunction to it. If you can see how this might be so, then you can also agree that all of us adult human children have some issues to clean up before we can be whole. If you see the reasoning here, then you understand why doing our personal work is as normal as other preventative work we engage in. This web site and my work for over thirty-five years has been to access the unconscious where our core sense of who we are not and how the world does not attend to us dwells. The learned personality as I call it, comes from this core and runs our lives in a non-productive/sabotage manner that is continually in our way. I have developed ways to walk into this inner zone and rework and unlearn the negative myths we hold about ourselves. From this substantive change, one can truly intention abundance and receive it. From this place of difference one's reality of deprivation or lack can be eradicated and changed for the better. Reality as you know it changes. Where there was loneliness there is cherishing, where there was lack there is abundance, where there was low self-esteem there is worth, where there was depression there is joy, where there was rejection there is acceptance. My books describe how these wounds came to be, which is the true place to begin your journey toward yourself. There are many examples of how our wounding is implanted in the unconscious, with exercises and techniques that can help towards making positive changes. Once you have a map of how this all works and realize that all humans have this work to do, it takes the stigma out of inner learning and healing. Once this perspective is internalized it makes the process of self-awakening normal like learning to read or write. It is just something you do in order to have a fuller and more enriched life. The many lectures on this site, originate from a radio talk show I do on KNRY 1240 A.M. with Dr. Bill Little. These lectures can also help you to begin thinking about our natural right to heal and how to live up to our potential. In addition the video talks emphasize a psychological and spiritual approach to life that speak to being mindful and conscious as you walk through the play/drama of life. Topics like Successful Relationships, Surviving Adolescent: For Parents of Teens, Attention Deficit Disorder, Honoring Commitment, and Knowing: The Place Where Our Truth Lives. All of these offer insights to get started on how to be different in a way that allows for more understanding, communication, and joy. I want to thank you for visiting my web site and hope that it has stimulated you to ponder how you might feel if you were out of your way and empowered.